Aronia melanocarpa, commonly called Chokeberry, Aronia Berry, Black chokeberry, Apfelbeer, Svartaronia, Kahle Apfelbeere is native to Eastern North America. 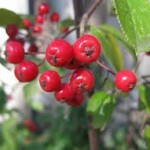 These are the perennial flowering plants with black, purple or red glossy berries from the family Rosaceae. The plant thrives best in well drained soils. 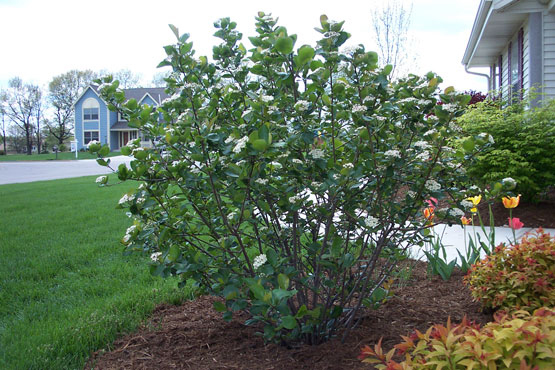 Chokeberry plant is a woody shrub growing to 4-8 feet tall. The glossy leaves are alternate, elliptic-obovate, dark green; 1-3 inches long and ¾-2 inches wide. The flower occurs from July to August. The hermaphrodite flowers are showy, white which have five petals. The fruits are about 1/3-1/2 inch in diameter of pea sized. Each fruit possess one to five small seeds of deep purple. The fruit have dry, sour and sharp flavor with distinctive taste. The fruiting season begins from Late August to Mid-September. The tree of Chokeberry has perennial lifecycle which has the lifespan of 40-60 years in wild. Thirty berries are contained in a bunch. 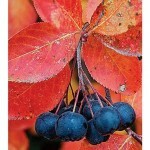 Choke berry (Aronia Berry) berries are originated from East Canada and Eastern parts of North America. Around 1900, it was migrated to Europe and Germany to Russia. In the recent days, it is cultivated in Germany and East European countries. 100 grams of Chokeberries grants 26.26% of manganese, 23.33% of vitamin C, 13.95% of total dietary fiber, 7.80% of Vitamin E, 7.75% of Iron, 7.38% of carbohydrate, 6.25% of vitamin B9, 4.82% of zinc, 4.76% of magnesium, 3.45% of potassium, 3% of calcium, 2.80% of protein, 1.43% of total fat and 0.07% of sodium. The research shows Chokeberries are rich in antioxidants which prevents cells from the oxidation of free radicals. 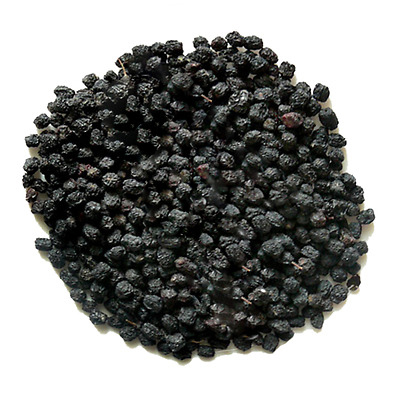 In 100 g of Chokeberries, about 1480 mg of anthocyanin is found and 1752 mg of polyphenol. Anthocyanin provides dark purple color to the berry. The research made on the anthocyanin on Chokeberries shows that in 100 foods only 24 included it. The research also shows that Chokeberries have the ability to prevent cardiovascular diseases, cancer, ulcers, diabetes, eye inflammation, joint pain, liver disease, flu, cold and allergies. It promotes the memory, slows down the ageing process and enhances the wellbeing. These berries enhance the circulation of blood, enhance the blood vessels and restrain virus. The berry holds anti-inflammatory, antioxidant and anti-carcinogenic properties which help to maintain overall health. It also prevents the formation of cardiovascular ailments as well as cancer. It has tart or bitter taste similar to blueberry. Chokeberries (Aronia Berry) have low amount of fat and calories along with dietary fiber and nutrients. These berries help to remain healthy without having extra pounds. Chokeberries contain carotenes which help to lower oxidative stress in eye. It also prevents the chances of macular degeneration and prevents the cataract development. 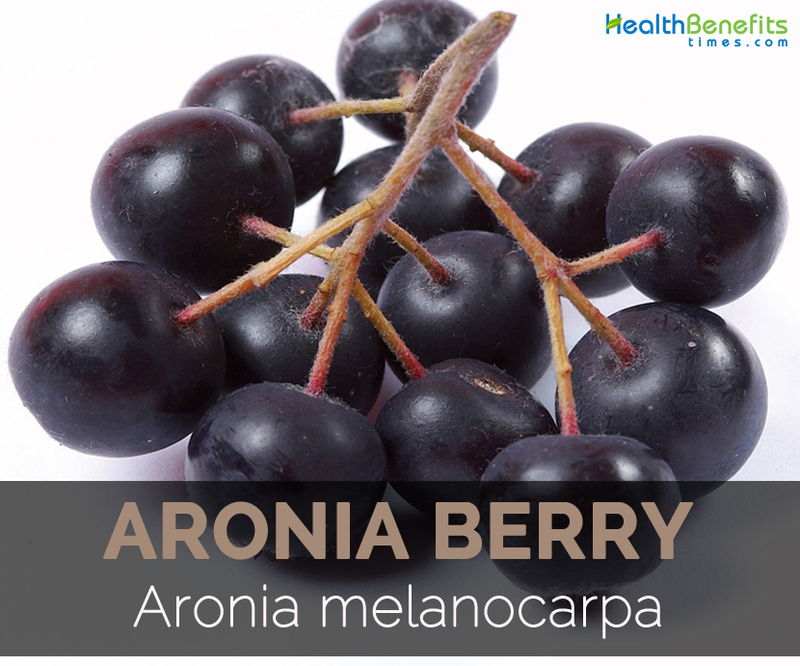 Carotene is an antioxidant which is found in meaningful amount in Aronia berry. 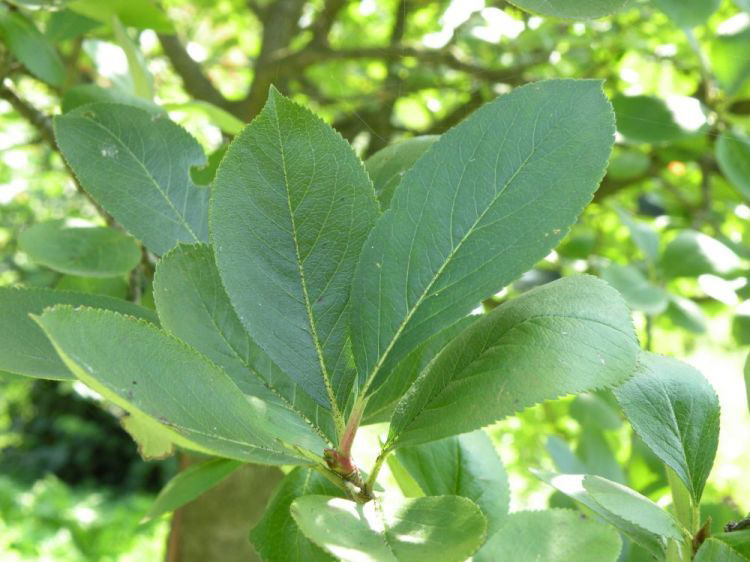 It reaches up to a height of 2 to 4 m which rarely reaches to 6 m. Foliage is about 5 to 8 cm broad. The flowers are white to pale pink and measures 1 cm broad. Fruits are 4-10 mm wide and red. It reaches up to the height of 1-3 m. The foliage is small and has the width of 6 cm. The flower is white and fruits are black of about 6-9 mm wide. It is the mixture of above two kinds of Aronia berry. 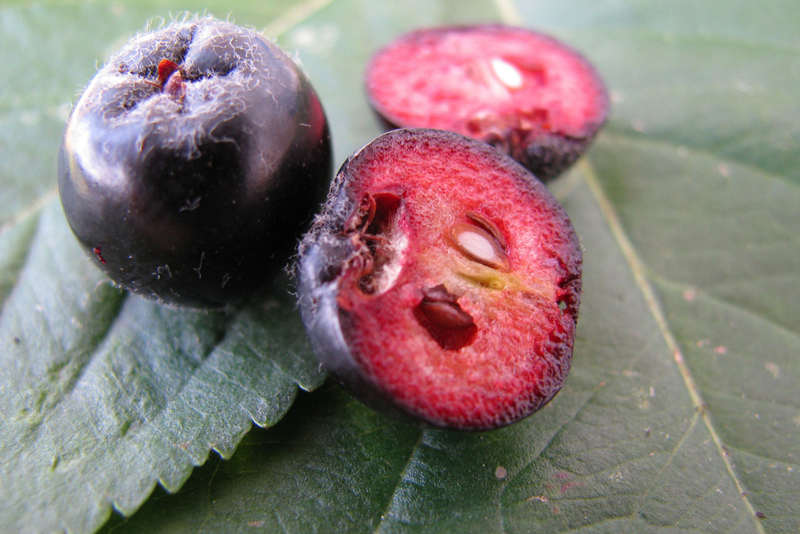 Fruits are about 7-10 mm wide and is dark purple to black. The intake of 100 gm of berries provides about 35% of Vitamin C. It is consumed with oatmeal, yogurt, baked goodies and smoothies. A glass of Chokeberrie juice provides 21.7 g of total carbohydrates, 25 mg of sodium, 250 mg of potassium and 33.3 mg of calcium. 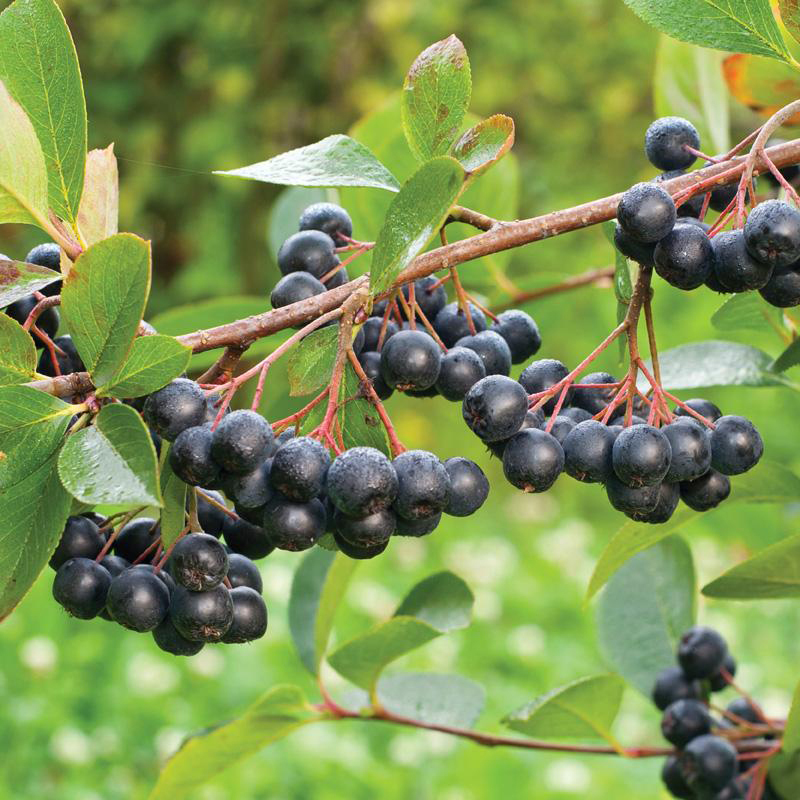 Chokeberries could be included in the meals by taking natural supplements of Aronia. The supplements benefits the various components such as probiotics. 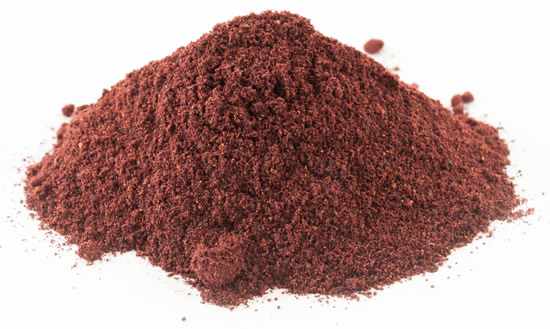 Chokeberries assist in the circulation of blood supply to the essential organs and tissues. It helps to purify blood, lower blood sugar levels, blood pressure. It helps to deal with vein inflammation and atherosclerosis. It helps to promote the function of endocrine glands and regulates the hormone secretion. It assists in the digestion of food. 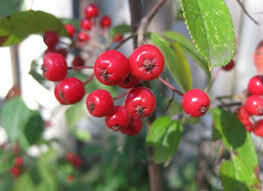 Chokeberries helps to lower stomach pain, inflammation and also treats gastritis and stomach ulcer. 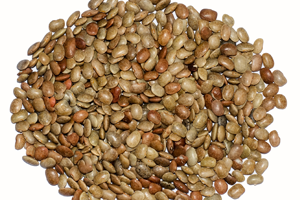 It enhances the liver function, bile secretion and eliminates toxins from liver. It is an aid for inflammation, liver problems, gallbladder inflammation, jaundice and bile stones. The juice and tea made from Aronia berries helps to strengthen immunity and infections. It is helpful for anemia as well. Due to the presence of oxalic acid in Ariona berry, it may crystallize as oxalate stones in urinary tract. The people with oxalate urinary tract stones should not consume it in huge amounts. Oxalic acid interferes with magnesium and calcium absorption. The excessive consumption of Ariona berries results in gastrointestinal discomfort. The pregnant and breast feeding women should not consume Ariona berries. Ripened fruits are consumed fresh. It is used to make jelly and dried to make pemmican. The fruits are used for various culinary purposes. It is also used to make juice, compote, wine and pickles. In Europe, it is used to make alcoholic beverages and also used as a food colorant. The berries can be canned, made into candies, jelly, pie, sorbet, yogurt and flavored milk. It is also used as tea, food coloring, syrup and coloring for fruit spread. In Europe, juice is blended with apple juice to enhance a blush. In Russia, apple juices and aronia berries are fermented to make red wine. 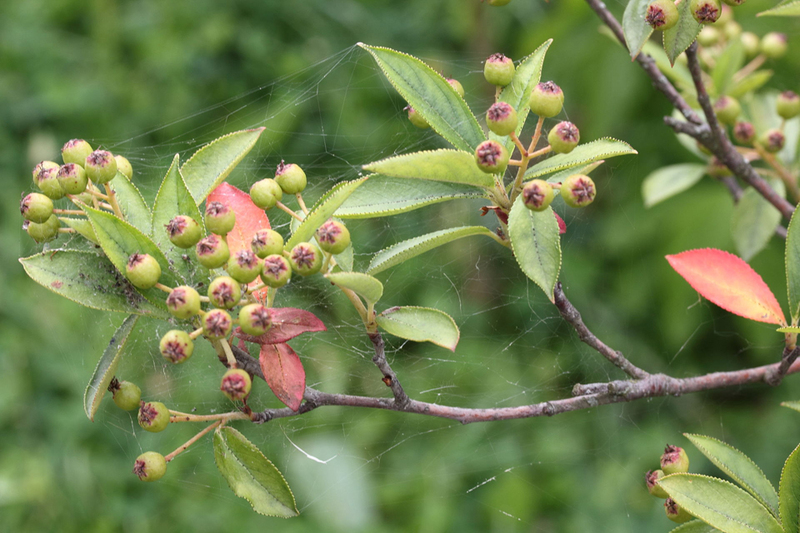 In Lithuania, the juice of Aronia is used to make dessert wines. The berries are used as tops for ice cream and fruit salads. They are used in cakes, tarts, juice, muffins and pies. The dried berries are added to the baby food preparations. The berries can added to smoothies. 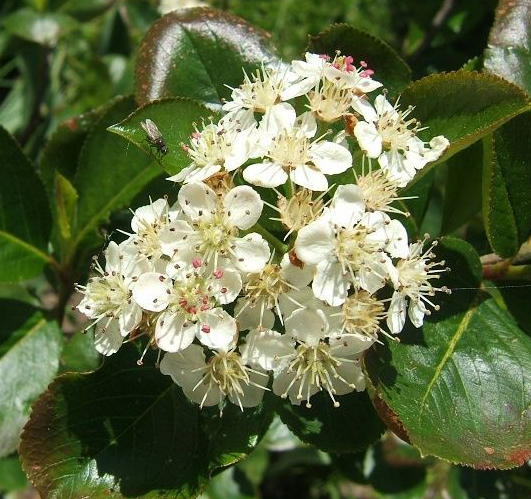 The syrup made from Aronia berries are used as an ingredient in many cuisines. Dried berries are mixed with muesli. 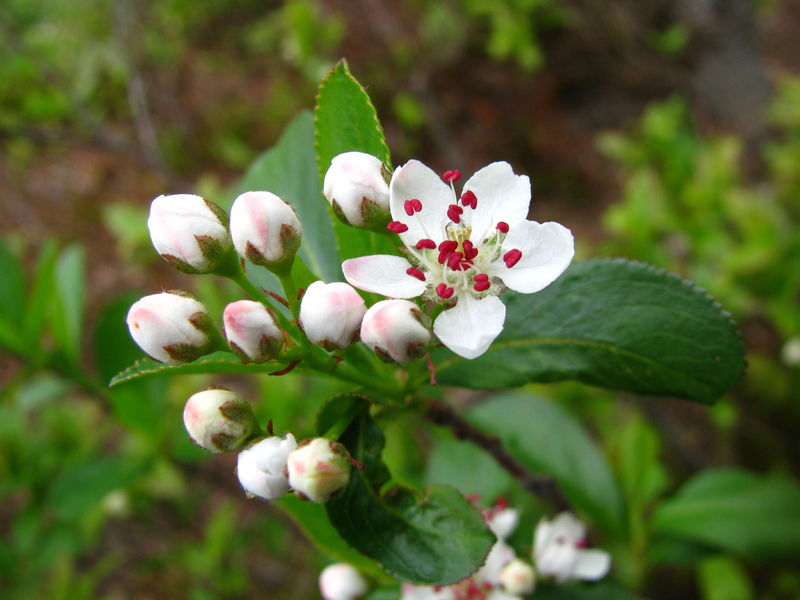 Aronia berries are brewed as an herbal tea. The berries enhance the flavor of yogurts and fruit drinks. Hahnia arbutifolia var. nigra Medik. Calories 47 Kcal. Calories from Fat 4.5 Kcal.